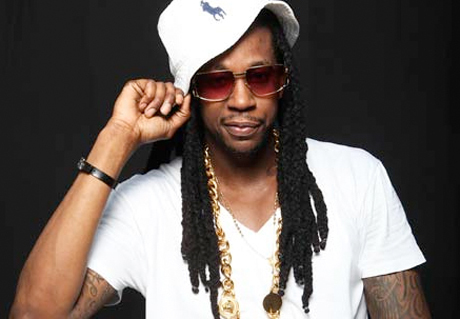 Atlanta spitter 2 Chainz is about to hit big tomorrow (August 14) via the release of his Def Jam debut, Based On a T.R.U. Story, and will be celebrating his inaugural LP with some tour dates. As Brooklyn Vegan points out, 2 Chainz plays his record release this Thursday (August 16) at Webster Hall in New York, and he'll spend the bulk of the next month travelling around North America in support of the album as well. Lucky for us Canucks, those dates will include a stop at Toronto's Phoenix Concert Theatre on September 4. This will be the rapper's second show in Hogtown this year, following an opening slot at this month's OVO Fest, a performance Exclaim! said raised energy levels at the Molson Canadian Amphitheatre "fivefold with a finely tuned performance that had everyone up from the start." While the Toronto stop is the only Canadian stop on 2 Chainz's upcoming tour schedule, he did manage to hit the West Coast last night (August 13) opening for "I Luv Dem Strippers" collaborator Nicki Minaj in Vancouver.